Adult adoptees views are often ignored but we hold a very valuable view because only we know how it feels to be adopted. Adoptee voices are the voices that SHOULD be listened too the most. We’ve lived it & our voices matter. Here are over 30 responses. To all the brave adult adoptees, thank you for sharing your feelings with the world so we can help others understand how it feels to be adopted. Please don’t tell adoptees like me to be grateful and that we should thank our lucky stars that we were “rescued” from a life in an orphanage. Please don’t say we are “hurting” our adopters by seeking the truth of our origins. After being in reunion for 6 years and after a lifetime of lies about my blood ties, I have learned the truth and I realize the lengths to which adopters and adoption trafficker$ will go to procure a newborn. My adopters were (and still are) abusive, self-absorbed alcoholics who only wanted the appearance of normal couple with a child: the perfect family. The RCC helped and continues to help adopters at the expense of the blood family. I have nothing to be grateful for and nothing to feel guilty about. People who use those lines to make adoptees stop looking for and/or having healthy relationships with their natural/bio families are manipulative baby trafficker$ living in a fantasy world. The “As if born to” and “In the best interests of the child” are myths perpetrated to cover up the real motives of these slick business people. Take the money and lies out of the system and it will disappear. I agree with what everyone else says about helping existing adoptees. But going forward I will dare suggest that the best way to help future adoptees is to not create adoptees in the first place. Focus on family preservation. Also, perhaps even offer better/more birth control education and free birth control in high school. If you’re not going to take care of your child, don’t create one. As someone who was very careful and never once had an accidental pregnancy, I really don’t understand how some people can be so careless, especially repeatedly. It’s not fair that the child pays for the irresponsibility of others. There should be provisions in the law to UN-adopt oneself as an adult; especially if there was abuse or they are deceased. Otherwise we feel like slaves. As adults we should have the right to define who is our family when a legal contract was made about us when we were a minor. It is like gay people not allowed to marry. I have a 25 year reunion, both my adopted parents have passed away, but I don’t legally belong to my birth parents. We should have he right to define who is family as an adult. It is the only legal contract as an adult that one cannot get out of. It is a human rights violation. As ‘if born to’ is a big lie. Acknowledge that we suffered a loss. I wrote a book about it and out in public talking and talking to raise awareness…come on….why hide. Don’t make us feel guilty for wanting to know where we come from. Society can try to acknowledge our pain and loss, and stop telling us we should be thankful we weren’t aborted, and someone took us in when our own families didn’t want us. Help is grieve our losses at an early age, so we aren’t numbing the pain as we grow up with substances, and develop unhealthy ways to cope. We don’t know what to do as children. Read THE PRIMAL WOUND. Get educated and keep reading this page on how we feel. You can’t teach your children not to lie, but expect adoption lies to be okay. Lying is never okay. Talk, talk talk. Don’t assume – or expect the child to be first to raise the subject! Too many exclaim ‘she didn’t say anything’ well, you know what? Kids need help to articulate the feelings they have. There needs to be transparency with adoption. Agencies aren’t as open as they should be, and put the BM before the adoptee when it comes to information, the lack of which inhibits closure. The MAIN and most important thing that society can do to help us is to RECOGNIZE that adoption means LOSS, is painful, that it is NOT a win-win arrangement, and that it should be a LAST RESORT. 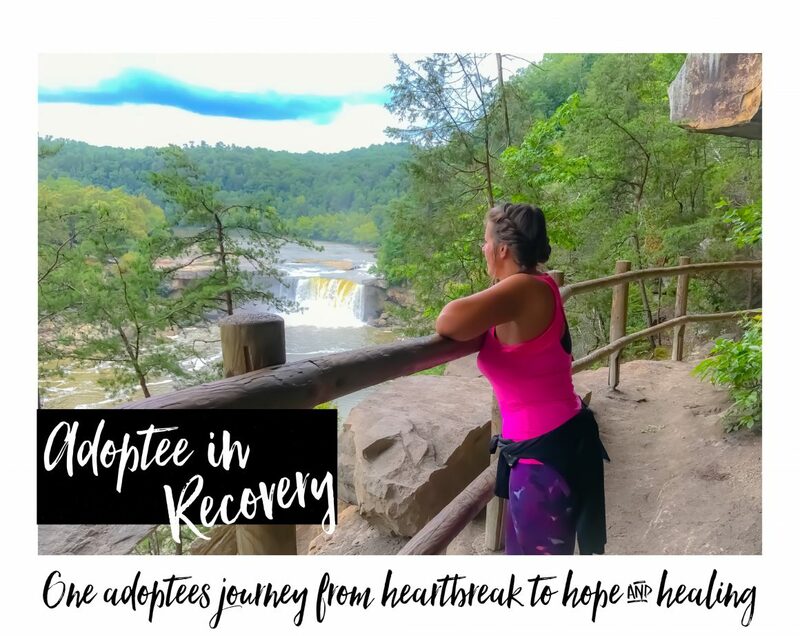 Society needs to recognize the fact that in order to be adopted, we had to lose EVERYTHING, and that our loss and our pain are REAL, even if we don’t remember the adoption process or what happened prior to it. They need to recognize that their attitudes towards adoptees needs to change. We are NOT perpetual children who should never have the right to make our own life decisions, and expectations that we OWE it to our adoptive parents never to search, reunite, and know or embrace our TRUE identities is a form of slavery! They need to stop telling us that we were given up because we were unloved or unwanted, or because our mothers were selfish, or because our mothers loved us so much that they wanted better for us. They DON’T KNOW why any of us were given up, so they need to STOP MAKING IGNORANT ASSUMPTIONS. They need to stop telling us to be grateful. They need to stop telling us that our adoptive parents’ feelings are more important that our happiness. They need to stop telling us that our natural parents’ anonymity is more important that our happiness. They need to stop telling us that we have an obligation to go along with the secrets and lies. They need to stop telling us how they think we should feel. Then, they need to recognize that MOST adoptions are NOT necessary. They need to know how most of us are acquired through coercion, or force, or because our natural mothers were not given enough help to allow them to keep us and how so very few are actually aware of all of their options. And they need to know that we deserve the right to know and embrace our own true identities from the very beginning, regardless of who raises us and regardless of whether or not we have contact with our natural families.Once society realizes and begins to accept that our loss and pain are real. they will also begin to see all the travesties that are done to adoptees, and will begin to see current adoption practices as offensive and barbaric. Awareness of society to not call us special and lucky and tell us we should be grateful towards our adoptive parents because otherwise we would have been homeless without them. This puts such a stigma on us and piles on the guilt if we are experiencing any trauma or troubles with our adoptive families and causes us to feel at fault when we should not be made to feel this way. Better counseling for the birthparents and adoptive parents to make them aware of the identity issues that adoptees go through, perhaps some mandatory reading even before things are final of books that resonate with adoptees such as the primal wound to ensure that they all understand a little more of the perspective of the unborn child who cannot speak for themselves. Meetings with adult adoptees for the birthparents and adoptive parents so that they can hear an adult adoptees perspective as well. In general more education for everyone. Extreme encouragement for more identity type information to be made available as the adoptee grows up and for the birthparents to keep in touch with the adoptive parents and vice versa to help everyone with the trauma that they experience which will also help the birthparents know that their child is ok and healthy and thriving.. Adoptive parents to be implored to not ever put the children in the position to be made to feel like they shouldn’t ask questions or want to search for their origins and birthparents. The adoptive parents should aid the child in their search and put the child’s feelings first, regardless of whether it feels like betrayal to them. The adoptee had no choice in their destiny and they should be allowed to make choices unimpeded and without guilt and shame laid upon them. Support from adoptive parents towards movement of more open records for adoptees rather than the shroud of secrecy and shame that adoption was based on when I was born (1977). Adoptees should have identity rights. We should know our cultural and medical history at time if adoption so we don’t feel like aliens. Adoptive parents need to normalize and facilitate adoption conversations throughout developmental milestones. Be supportive of openness, it makes us feel more loved, that you love everything we belong to, our history, culture, connections; understand our life began before we met you. Open adoptions and acknowledge adoption as a last resort and a sad thing for the child. Please stop treating us like were a piece of property. We aren’t YOURS! We are human beings. Adoptive parents could support us by putting more emphasis on family preservation whenever possible, with the understanding that adoption always has far-reaching consequences that are best avoided. It would ease my mind a lot to see society finally trying to do better for children. As far as how they could help those of us who have already gone through it, just listening and not discounting what we say would be a huge start. Recognize us as the *true* adoption experts and learn from us. Adoptive parents could support us by validating our feelings. I was lied to when I was told by family that I was willingly gave up for adoption, when I was actually a forced adoption. To me that’s a pretty big lie. Adoptive parents can support us by stopping the lies. “I’m so sorry you lost your family’” would have gone a long way. That kind of acknowledgment would have meant so much. Firstly, the “adoption industry” as we know it needs to be abolished. The money needs to be taken out of adoption. A complete overhaul with family preservation as the main focus with adoption being an act of last resort. As a society, if we started to view adoption as a last resort, an option that is painful and fraught with problems and lifelong issues for the adoptee, the nuclear option so to say- i think we could make strides. Instead the adoption industry pushes an agenda of “it’s about love” when in reality that is just a marketing propaganda. Society: open records, which, whether we choose to search or not, gives us the freedom as adults to decide. My biggest annoyance was feeling controlled by society/ adults in general. Feeling made to feel like a worthless child by the law. Adoptive parents: no judging of birth family who may have a diff lifestyle/ set of norms. Being open and honest without being condescending toward us would help us. Get them to therapy for infancy abandonment issues as soon as feasibly possible. It’s the buried trauma that needs to be addressed. Open records, medical records and health history given to adoptee at time of birth. Mandatory parenting classes for the A-parents, as well as for the adoptee. Counseling and support groups etc. should be continued throughout the life o Tell us the truth, as much of it as you know. Accept that we are grieving, we have suffered a loss that you can’t replace. We don’t want replacement parents so much as we need caregivers – especially applicable to older children who can remember our original parents. Give us a safe place to be alone and don’t try to force attachment if we don’t want it.as the adoptee. Adoptive parents need to realize that we’re adopted to be almost as good as a natural born baby & it just isn’t that easy. As soon as you tell the child he/she is adopted that separates the family. Industry/money out of adoption, open records at age 18 at the latest, adoption as a last resort and for the CHILD, not because adopters think they’re entitled to be parents. If we’re wishing big, we need to change society so people don’t feel like they have to have a child. Infertility rates are increasing at an incredible speed. We know there’s already an incredible amount of demand for babies, or even older kids as people get more desperate. That demand is only going to get worse over the next decade plus. I fear we are heading back into baby scoop era theft of children. Only this time they’re using “child protective services” and they’re reaching above the newborn age to try to meet demand. Demand an end to the secrecy and lies in adoption. No person should ever have their name and history removed from them. Ever. If .the want to be adoptive parents knew this going in that would take so much of the pain away/ Then again, the majority of them would not want to adopt thus “orphans” would not be created to meet their demand. Give all of us our Original Birth Certificates (OBC’S) already!! Please stop saying “Love is all we need” & “Love trumps all”. Love is not all we need. We need our history, our OBC, our TRUTH, and acknowledgement of our losses in order to feel WHOLE as a person & to be able to heal and move forward with our lives. Join Our Adoptee Community! Click Here!